Kinds of Dog Harnesses. 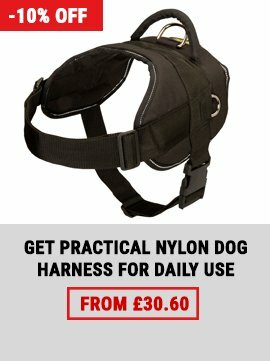 Nylon Dog Harness with Handle. 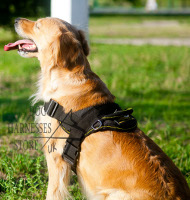 Everyday or walking harnesses are usually made of usable and wearproof materials such as leather or nylon. 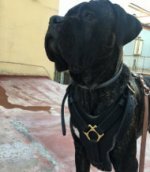 You should better not wear leather harnesses when it rains or where the climate is humid, because they can get moldy or barky and rough. 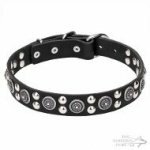 There are various dog harness constructions, but as to the comfort the classic model remains the best option. Puppy harnesses. 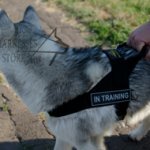 The dog breeders recommend wearing harnesses only for the puppies over 6 – 10 months (depending on the breed), in order not to disjoint the elbows, when the puppy's body is taking shape. They recommend light harnesses, sized according to the dog's figure. Some professionals also think that wearing a harness can help develop the puppies' chests. 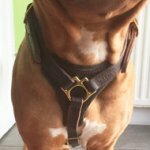 Harnesses for big dogs. They used to think that walking harnesses were there only for little dogs. Today there are such harness constructions that don't allow the dog to pull the leash. 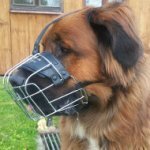 This makes walking of a big dog easy even for child. 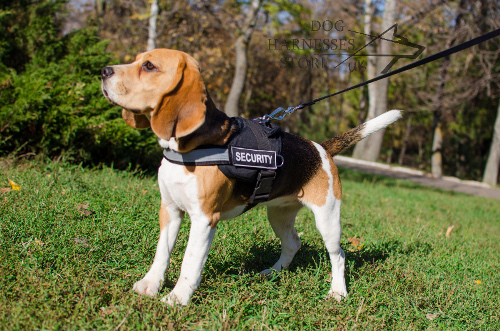 Still if the dog is aggressive and malicious, we don't recommend wearing a harness. 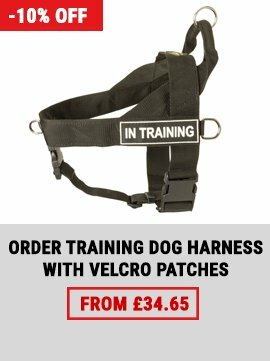 Harnesses for little dogs. 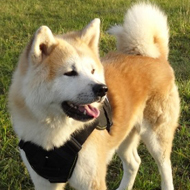 The greatest variety of harnesses is developed namely for little dog breeds. 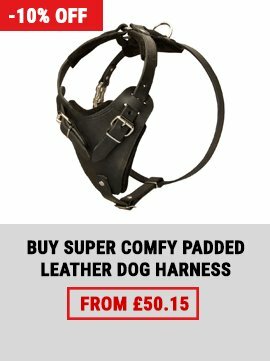 If you would like to lift your dog by the harness, choose models with handles on the back. Exhibition harnesses. They have more simple geometry and fit but have more decoration. Their belts are thinner, the furniture beautiful and the belt section round. 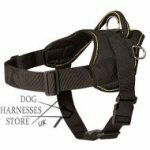 Harnesses for sledge dogs, sport harnesses. 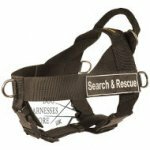 These harnesses usually have special construction, you should choose sailcloth or nylon models. They are usually tailor-made. Weight pulling harnesses. 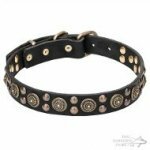 They are meant for training and keeping the dog fit as well as for weight pulling contests. They allow developing a classic show pointing. Weight harnesses. They are also used to keep the dog fit. The harness has pockets to put weights of different shape. 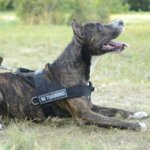 The dog trainers recommend using weight harnesses very carefully and not let the dogs jump wearing them, as a back trauma is not to avoid. Tracing harnesses. They are usually made of leather with canvas cloth and safe furniture. They must be lean-body harnesses, because they mustn’t hinder the breath of the tracing dog. Waist harness. It is normally used for little or middle smooth-haired dogs to provide additional warmth during the walks. As warmth-keeping material they use fur or sintepon. Medical harnesses. They are used to walk injured or partly paralyzed animals. They look like a waist, the fastener is located near the hind feet to help the dog move leaning on its forepaws. The dog breeder can buy a harness in a special store, order a tailor-made one or saw one him- or herself. 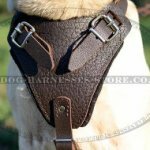 You can also order a harness in an on-line store, buy a second-hand harness. 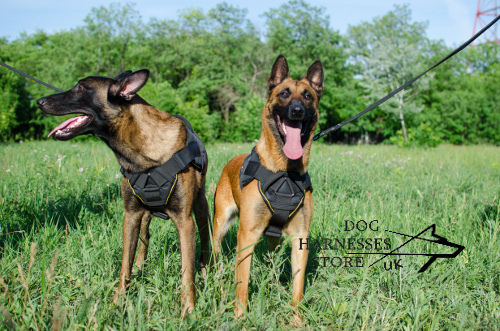 We believe you should not spare money on your pet and choose harnesses from reliable manufacturers like Fordogtrainers, Trixie, Hunter that control the quality of their materials and furniture. 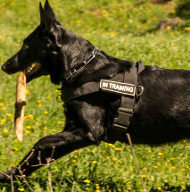 If you need a sport dog harness or special trainings, don’t fail to consult a more experienced dog breeder and professional canine specialist before buying. 1. I need to be able to have two ratings for this product. The nylon harness with handle itself is amazing. Absolutely love it. I have a 125 lb Cane Corso who is unable to pull when his leash is attached to the front of this product. 2. 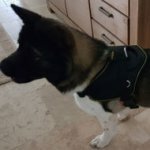 My husband had purchased the H17 nylon dog harness with handle to use with our 2 year old GSD, Cork. I was skeptical that it would work. Walking Cork was always difficult for me. She would pull so hard that it was almost impossible for me to do it on my own. 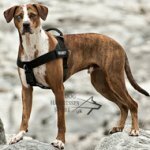 The first thing I noticed about the harness was that it seemed to be very well made and I loved all the different places you could hook a leash (there are four). The handle is also a huge plus because it is easy enough to grab onto in a pinch. When I put the harness on my dog, her behavior seemed to change instantly. She was calm and tentative to my direction. I hooked her leash to the front chest ring and we set out for her walk. I instantly saw a difference. With a normal collar she would take off running, dragging me along with her. This harness makes it impossible for her to pull. We walked further than we ever have and my arms weren't even tired afterwards. The only negative I found was that the strap that fits around her chest fits just fine but the strap that runs up the dog's chest is a bit big. It buckles when she walks. 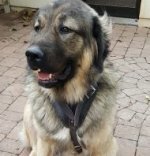 This being said she is on the smaller side for a GSD and it doesn't seem to bother her. Plus with the results I have seen I can live with the fit! Thank you so much!! This harness is a miracle! I was at my wits end with this dog but now we can both enjoy our walks without stress. 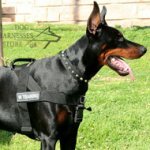 This article written on 12/12/2012 about kinds of dog harnesses and nylon dog harness with handle, the author of which is Helen Steel, got 9 from 10 points of rating for ease and completeness of given information. 15260 persons took part in the poll. 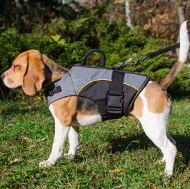 The best nylon harnesses for walking, training and work with your dog, click on the pictures! 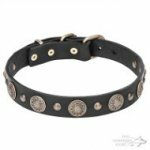 You are welcome to see our exclusive collection of designer dog harnesses.